Dorothy Dehner created work for nearly seven decades, but wide recognition belied her until she was in her forties. Her bronzes, which she is most known for, came about in the 1950s and, while having much in common with the prevailing ideals of abstract expressionism in sculpture during that era, trade strict geometric rationalism for warmth, humor and forms infused with an errant, playful spirit. Dehner was born in Cleveland, Ohio in 1901 and after the death of her parents, moved to Pasadena in 1915. From a young age, she displayed a variety of creative interests, including drawing, acting, poetry and dancing. She attended the University of California, Los Angeles for a short time to study modern dance, until moving to New York to study at the American Academy of Dramatic in 1922. She changed courses again in 1925, after a trip abroad exposed her to the avant-garde art movements happening in Europe, prompting her to enroll in the Art Students League in New York in 1926. That same year, she met the sculptor David Smith, who had just moved to New York to pursue his art career. The two married in 1927 and left New York in 1929, purchasing a farm in the secluded and pastoral Bolton Landing, near Lake George. In 1950, Dehner left Smith and Bolton Landing to finish her degree at Skidmore College and, that same year, had her work shown at the Whitney Annual Exhibition (the first time her work was exhibited in New York). 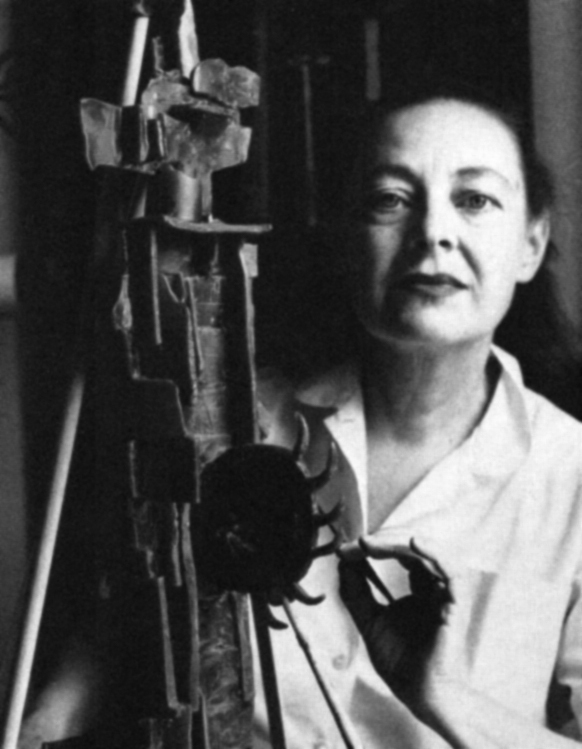 She had an auspicious debut in New York, quickly making up for lost time; her work was critically lauded, she trained in printmaking and sculpture, became close with artists such as Louise Nevelson, and in 1952, the same year she divorced Smith, began creating her celebrated bronze works. Throughout the 1950s and 1960s, Dehner continued to create sculptures increasingly ambitious in scale and form, inspired alike by totems, ancient forms, dance, and other contemporary sculptors. Her works are often regarded as (and titled as such) journeys, interior landscapes of searching, becoming and emerging. In 1955 she married Ferdinand Mann, an art dealer who was supportive of her career. Her prominence rose during this time, with solo shows at the Chicago Art Institute in 1955 and a retrospective at the Jewish Museum in New York in 1965. In the 1970s, she began working in wood and returned to drawing as well. Her eyesight began to deteriorate in the early 1980s and she began creating large public works modeled after earlier sculptures. Dehner was actively creating work up until her death in 1994.